Bright Futures Cafe Inspires Middle Level Leadership! to the needs of the young adolescent learner? 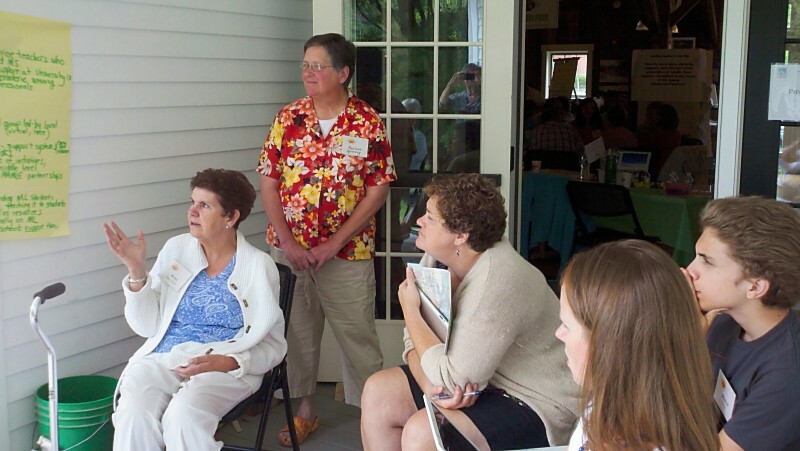 Sixty-four middle individuals from across Maine gathered in beautiful Belgrade Lakes on June 27th to discuss how we might re-vitalize leadership necessary to carry out the middle school vision for Maine, as described in the Bright Futures report. From the moment people began to gather at the Maine Lakes Resource Center, the energy was palatable! 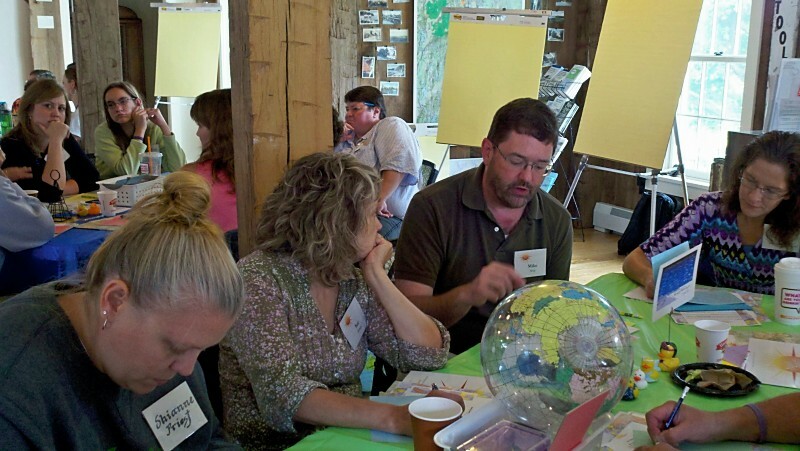 Judy Enright, master designer and facilitator, led the enthusiastic group through a process called World Cafe. This very engaging process allows those with diverse points of view to address a contemplative question and arrive at possible solutions to an issue or concern. Over the course of about three hours, these sixty-four individuals committed to the growth and development of young adolescents enjoyed the opportunity to focus on this compelling topic. State Superintendent Don Siviski took time from his busy schedule during the summer superintendent’s conference to update the group on the Maine Department of Education’s vision for customized learning for students in Maine schools. He made a direct connection between the customized learning strategic plan and the Bright Futures vision of learning for Maine’s young adolescents. Ed Brazee, the grandfather of middle level education in Maine (and, arguably, the nation! ), gave the group a brief history of middle level education in Maine. This, along with Don’s update on Maine’s strategic plan for education, provided those gathered in the room the context for exploring their thoughts relative to middle level leadership needed today and into the future. Creating regional opportunities for middle level educators and leaders to meet and discuss practices on an ongoing basis. Later this summer, the Middle Level Partnership will synthesize the feedback from the Cafe and meet with MAMLE board members to discuss ways to keep moving forward with the mission to inspire, develop, support, and connect a new generation of middle level leaders committed to the needs of the young adolescent learner. Stay tuned for more information in this blog! This entry was posted on July 13, 2012 at 11:43 am and is filed under Food for Thought, Leadership, Uncategorized. You can follow any responses to this entry through the RSS 2.0 feed. You can leave a response, or trackback from your own site.